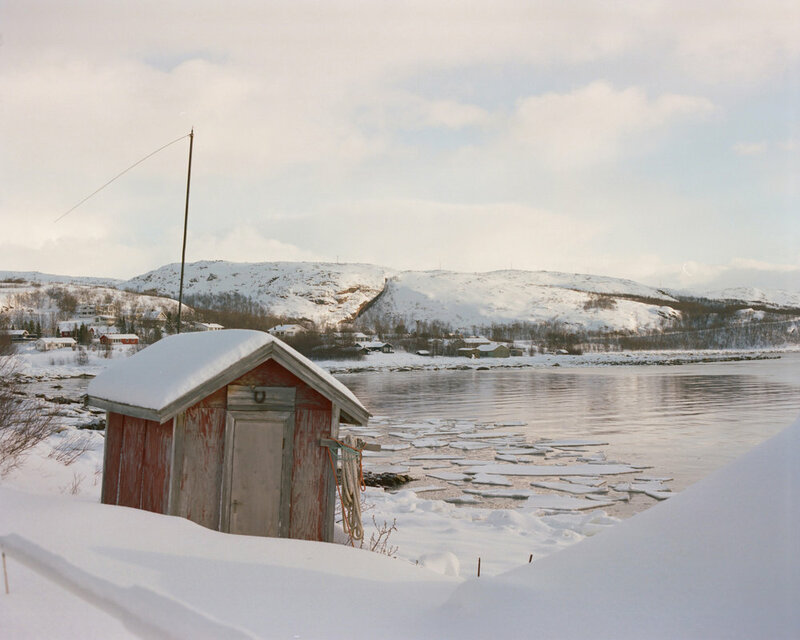 We recently interviewed London College of Communication graduate and Photo Scratch co-founder Hanna-Katrina Jędrosz about the Environmental Bursary grant she received from The Royal Photographic Society. She also introduces us to the first chapter of her resulting body of work. We hope you enjoy reading through Hanna-Katrina's thoughts on applying for opportunities like those from The Royal Photographic Society. Tell us about the bursary you received from The Royal Photographic Society. In 2016 I received the Environmental Bursary awarded by The Royal Photographic Society and The Photographic Angle. I won in the Under 30 category, and I was awarded jointly with Carl Bigmore who I collaborated with on the first chapter of the project. A fjord leading out to the Barents Sea, Norway, at the very northern end of the European Green Belt. Tell us about the work it allowed you to make. What's the work about? Is it complete? The bursary enabled us to make a major body of work about the Fennoscandian section of the European Green Belt. The European Green Belt is an area of land that spans the breadth of Europe from the Barents Sea to the Black and Adriatic Seas. It traces the boundary of the former Iron Curtain from north to south. For nearly five decades, this space was an out-of-bounds no-man’s land dividing east from west. This corridor enabled wildlife to flourish. Today much of the route is connected through national parks, biospheres and nature reserves. The project aims to explore and document the interplay between human activity and wildlife on a specific but vast stretch of land that comprise the European Green Belt, and in turn, how nature has reclaimed the land during and since the Cold War era. The first chapter of the project is complete and I have just returned from making the next phase in Poland, Germany and the Czech Republic. There will be another trip later this year across the Balkans and Turkey which will comprise the final chapter. In the gift shop at the Norwegian/Russian border. 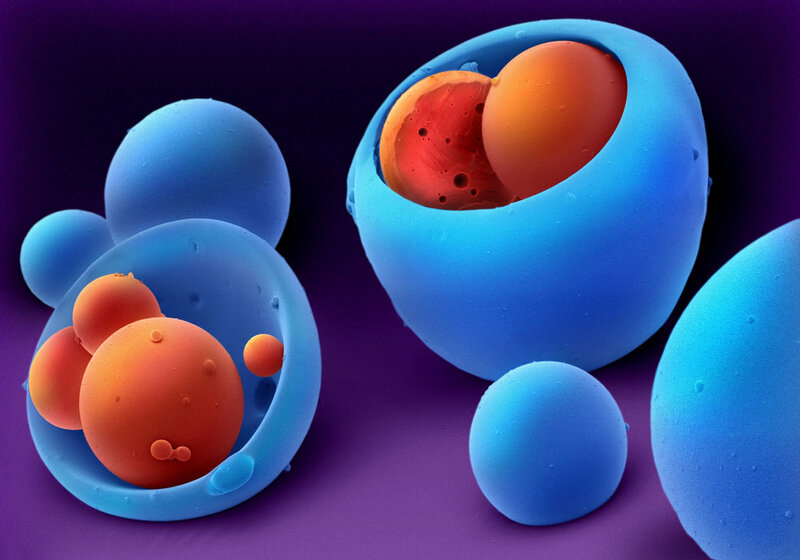 What did winning the grant mean to you and your work? Winning the grant from The RPS was such an honour. It’s an organisation with a long and established history and they have supported thousands of photographers over many years. It felt like a vote of confidence in my work and in the idea. Though it wasn’t publicly announced until the award ceremony in September 2016, it was shortly after the EU Referendum that we received news that we had won the backing to make this project. It felt very timely. On a personal level I felt disturbed by the results of the referendum. Receiving news of the bursary at that particular juncture provided a genuine sense of hope. It felt like an opportunity to channel some of the feeling of chaos I was experiencing into making work that would involve traversing the European continent, crossing many borders, encountering different people and places, and being given an opportunity to create something hopeful. Lichen is an indicator of air quality. This leafy lichen, photographed in Finland near the borderzone with Russia, is leafy and indicates that the air was very clean. What encouraged you to apply for the Environmental Bursary in particular? It was the idea more than anything that lead to this application. It was Carl who suggested applying for this particular bursary when I told him about the idea. The Environmental Bursary seemed like a good fit for the project. I had never particularly considered myself to be a landscape or environmental photographer. I’m interested in connections between people and places, histories of the land and environment, the presence of history and the impact of a place on human experience. A river melts near Möhkö, eastern Finland. What support did you receive? I received the financial backing to bring the project into being. We pitched the first chapter of the work which would see us travelling from Norway, through Finland, Estonia, Latvia and Lithuania - the Fennoscandian and Baltic sections of the Green Belt. The support meant we could buy the film stock, book the flights, make the trip and get back in once piece. It simply would not have been possible without this kind of grant. On top of this practical financial support, I have felt very supported by The RPS and, in particular by the Education Manager Liz Williams. She has provided letters of endorsement, helped me to connect with people in the industry and has been a really positive influence throughout the process of making the work. 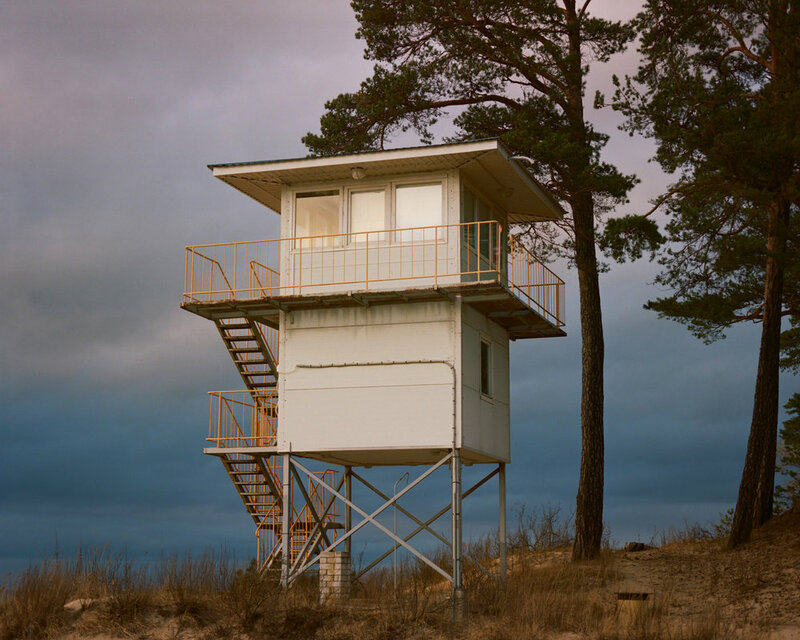 A viewing platform to observe birds and wildlife on the Baltic Coast, in Narva-Jõesuu, Estonia. Give one positive and one negative in regards to applying for opportunities like these. There is no negative to applying for opportunities like these! What’s the worst that could happen? If you aren’t successful, you will have gone through a process which hopefully has helped to clarify your intentions and thoughts, and will make your next application even stronger. It can help to identify gaps in your knowledge too. If you are lucky enough to receive funding then that is of course wonderful and a huge opportunity to get on and make your work. The RPS application form itself, at the time that I applied, was reassuringly straightforward. Every grant comes with a sense of responsibility to do the work justice and seize the opportunity. It’s a good idea to have an awareness of the organisation or funder’s motivation for offering the funding. Be prepared to fulfil obligations to your backers, like supplying images when the project is completed within a specific time frame. 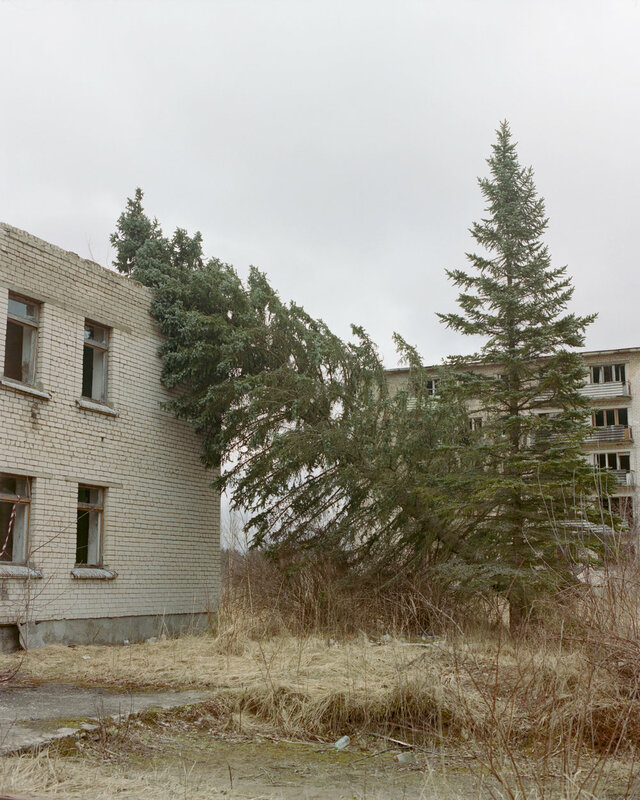 In the abandoned ex-Soviet military town of Skrunda-1, Latvia. Writing a budget can be challenging because sometimes you might not know exactly how much you would need, or there are variables. My advice would be to keep it simple and include a contingency of 10-15%. Be prepared to save up some of your own money to cover unexpected costs. I have never made a project without working really hard to save up for it first, even with external funding. Before going away to make the first part of this project last year, I worked six day weeks for six months (a combination of freelance photography jobs and picture editing shifts at two different organisations) just so that I wouldn’t come back and be completely overdrawn. More established photographers may not require this, but with relatively few years (five) working professionally, as well as the costs associated with living in London, and photographing on film, this is how I have managed. With any endeavour, ultimately it’s your decision to be committed to a project and then do whatever you need to do to make it happen. Having external funding is a huge initial enabler that paves the way for you to then fulfil the opportunity to its full potential. A Baltic Beach on the Curonian Spit, Lithuania. Can you give any advice to those considering a submission to any of The Royal Photographic Society opportunities? Look at what has been funded in recent years and don’t repeat an idea. Be clear. Don’t be ambiguous or try to sound academic or mysterious for the sake of it. Be honest about your idea - what are the challenges? What are your strengths? And most of all: apply! Someone once told me they allocated a day a month to apply for funding, residencies and other opportunities. I don’t manage to be as organised as this but I do allow myself time to do applications, time to discover and articulate ideas, and cast the net. 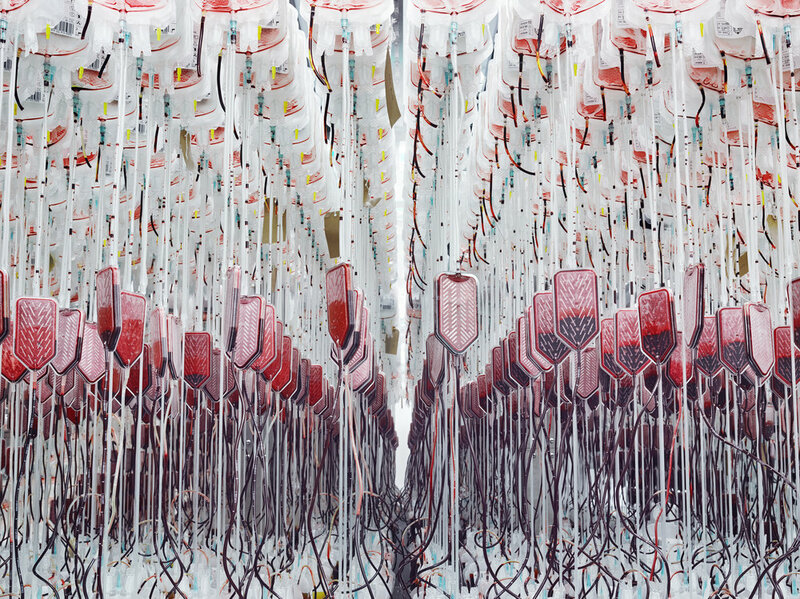 The Royal Photographic Society has announced this year’s bursaries to help photographers and students alike develop, finance and realise projects across the still or moving image. 2017 Postgraduate bursary winner, Cebe Loomis from Santa Cruz in the USA, explains: “Thanks to the Society I was given the opportunity to create a dynamic body of work that would greatly contribute to the professional field of photography including the funding of my fieldwork in Virginia City, Nevada, as well as begin designing the book that will soon house the complete project, Tailings. £3000 towards a photographic project to support environmental awareness. Applications close 29 May 2018. 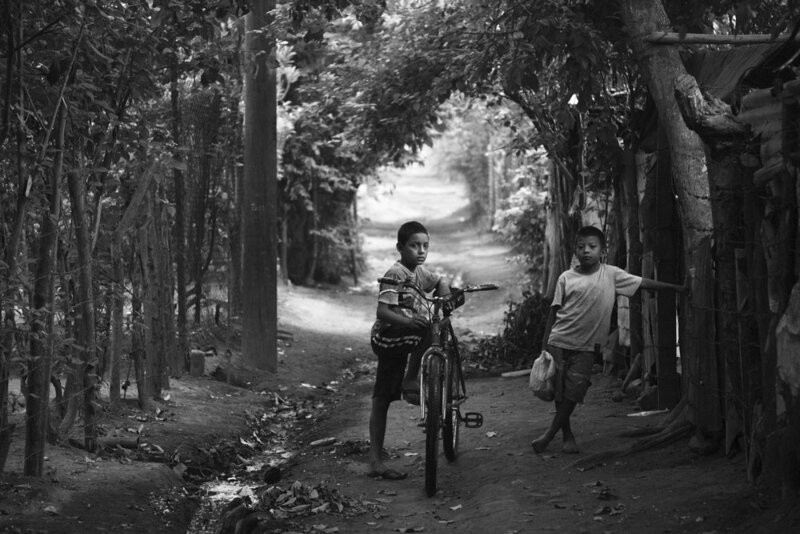 £2000 for the production of a photographic essay on an overseas social documentary issue. Photo essay published in The Guardian and RPS Journal. Annual bursary of £3500 in support of a postgraduate student studying in the UK or abroad. Applications close 29 June 2018. DepicT! challenges filmmakers on any budget from anywhere in the world to show their work in just 90 seconds. The RPS supports Main Award of £1500 and Cinematography Award of £1000. Applications close 2 July 2018. All photography bursaries (excluding DepicT!) benefit from an additional £500 worth of equipment from Vanguard and the opportunity to have a portfolio printed by Metro Imaging. All bursary projects will be published in the RPS Journal. 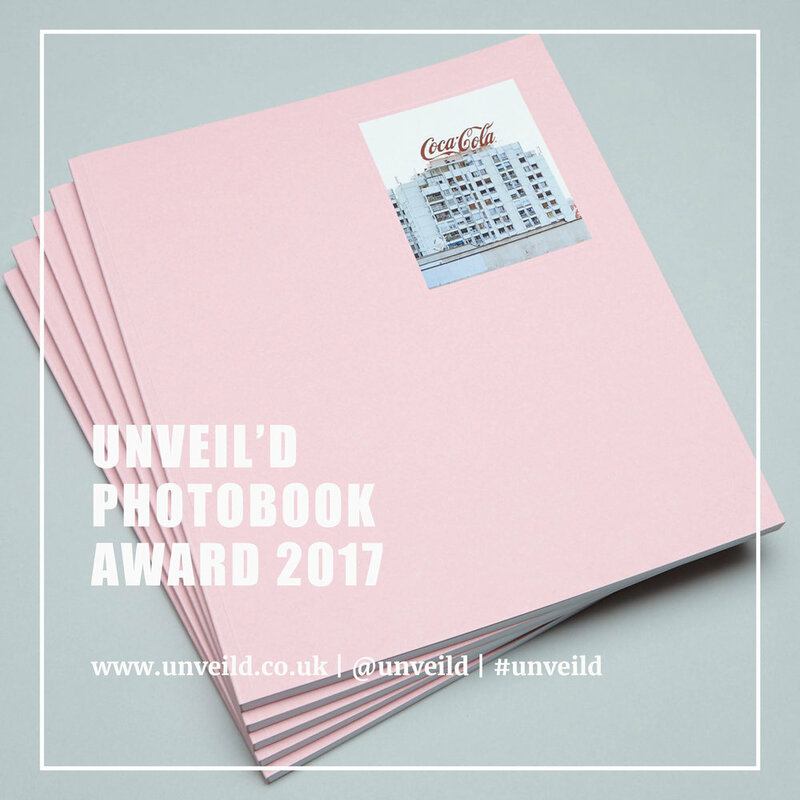 Unveil'd Photobook Award 2017 - Submissions now open! Unveil'd Photobook Award is an international competition with the aim to support and promote the publications of emerging and established photographers. Each submission is added to a permanent collection which is exhibited and viewable to the public at Unveil'd events. Unveil'd will work together with the winning photographer or author to produce a fully funded solo exhibition within our 2018/19 programme. The focus is to create a flexible environment that responds to the winner's practice and best supports the development of their work. A shortlist of five titles and one winner will be announced 5 February 2018. The award is a bursary of £1,200, plus printing, exhibition and mentorship, for an emerging photographer in the UK to complete a narrative photography project. Judges for the award include Karen McQuaid, curator at The Photographers’ Gallery, Matthew Tucker, UK Picture Editor at BuzzFeed, and Bette Lynch, Director of Photography, news, Europe, Middle East and Africa at Getty Images. Premier printing services are being donated by Metro Imaging, who will also grant the winner a portfolio review with creative director Prof. Steve Macleod. The award is created in memory of Rebecca Vassie, a British photographer and photojournalist who died suddenly last year (March 2015), aged 30, while on assignment in a refugee camp in Uganda. Applicants for the award, who must be either from or based in the UK, are asked to submit a proposal setting out a compelling vision for a photography project with a strong social or political context. The deadline for submissions is Friday, 7 October 2016 at 1700 BST. The winner will receive a grant of £1,200, plus access to premier printing services at Metro Imaging, including consultation with a master printer, to create of selection of framed images for exhibition in London in March 2017, as well as portfolio prints.